And the reverberations from the resulting gasps almost shattered the internetal tubules. Many of my (attractive, enlightened, and well-groomed) Twitter followers saw this yesterday, but the rest of you deserve to see it, too. Or so your parole officer says. * ajoohoo points out: “where’s the codpiece? 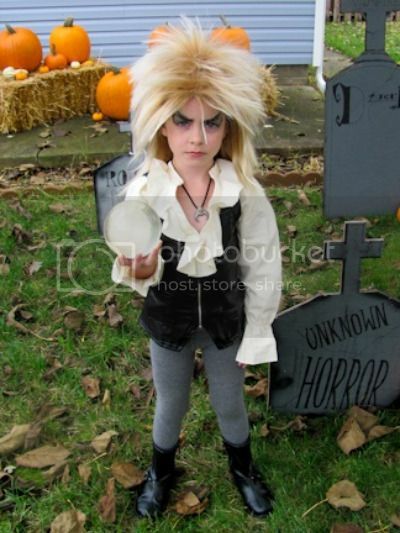 can’t be Jareth without the space/time altering codpiece.” Obviously a codpiece has no place on a four-year-old. At least until Abercrombie & Fitch has something to say about it. HA! This is my daughter!! I can’t believe the buzz this is getting! Well, I can. I knew my daughter was awesome. I’ve just been waiting for the world to see. ;) Thanks so much for the blog post!